The Cuban crocodile can only be found in Cuba in the Zapata Swamp in the northwest of the country and the Lanier Swamp Isla de Juventud. It is one of the most threatened crocodiles of the New World. The average length of adults is about 11 feet, and some crocodiles can reach as high as 16 feet. Coloration is darker on the top with patterns of black and yellow speckles and lighter underparts. The head is short and broad, and it possesses a bony ridge behind the eyes. Its toes are short and lack webbing, indicating that it spends more time on land then other crocodile species, and its tail is marked with black blotches or bands. The Cuban crocodile has about 68 teeth, which are helpful for crushing turtle shells. These crocodiles prefer freshwater marshes or swamps, and they rarely swim in saltwater. Diet consists mainly of fish, turtles, and occasionally small mammals. They can also leap from the water to catch tree-dwelling animals. They are strong swimmers and also great predators on land. Cuban crocodiles can live up to 75 years. Breeding occurs in May and lasts for three to four months. Little is known about their nesting behavior. Females may produce 30 to 40 eggs, but only a few of the hatchlings survive due to predation by other animals, including adult Cuban crocodiles. The eggs hatch after 58 to 70 days. This species has a very small and restricted distribution and is threatened by loss of habitat, hunting by humans, and competition for food and land with introduced caimans. There are an estimated 3000 to 6000 Cuban crocodiles left in the wild, and some can be found in zoos. Conservation efforts include continuous study of the species and captive breeding programs. 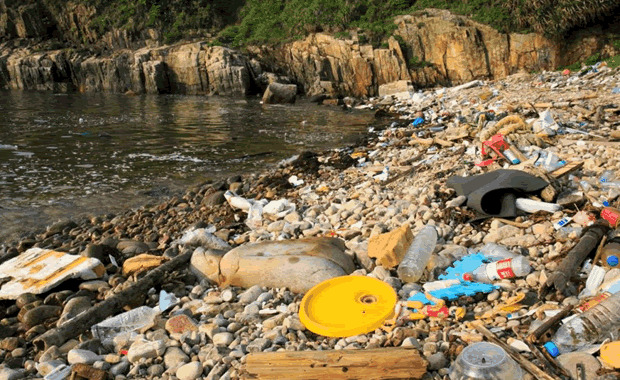 Although the species has recovered, it still remains highly vulnerable. Copyright Notice: This article is licensed under the GNU Free Documentation License. It uses material from the Wikipedia article "Cuban crocodile". Glenn, C. R. 2006. 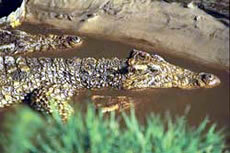 "Earth's Endangered Creatures - Cuban Crocodile Facts" (Online). Accessed 4/22/2019 at http://earthsendangered.com/profile.asp?sp=90&ID=5. Need more Cuban Crocodile facts?